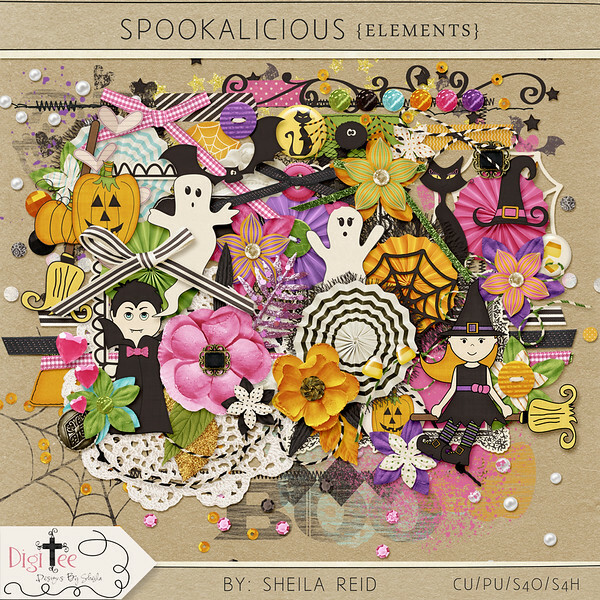 DigiTee Designs By Sheila: Spookalicious Kit Freebie! at least share some older kits that I have made in the past. This particular kit was made a couple of years ago for Halloween, and it is soooooo cute that I just HAD to get it out there for this Halloween! I hope you like it, and will have fun using it to design with or make super fun pages of your little trick or treaters, and have the most SPOOKALICIOUS Halloween EVER! Remember to stay safe, and God bless you and all of your precious families!!! Thank you so much for sharing this awesome kit! I love your designs. Oh wow, this is awesome!!! Wonderful kit, thank you so much! Thank You for sharing your awesome kit! Love it! I love Halloween kits that use pink! This is awesome, thanks!